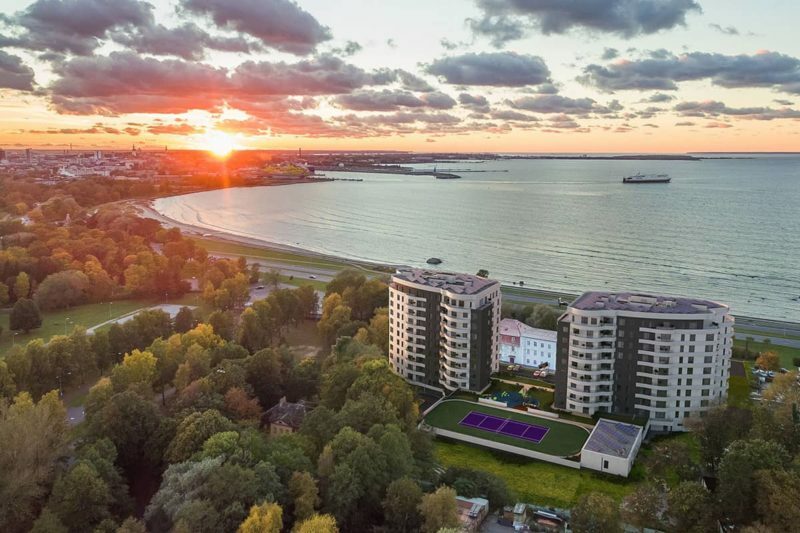 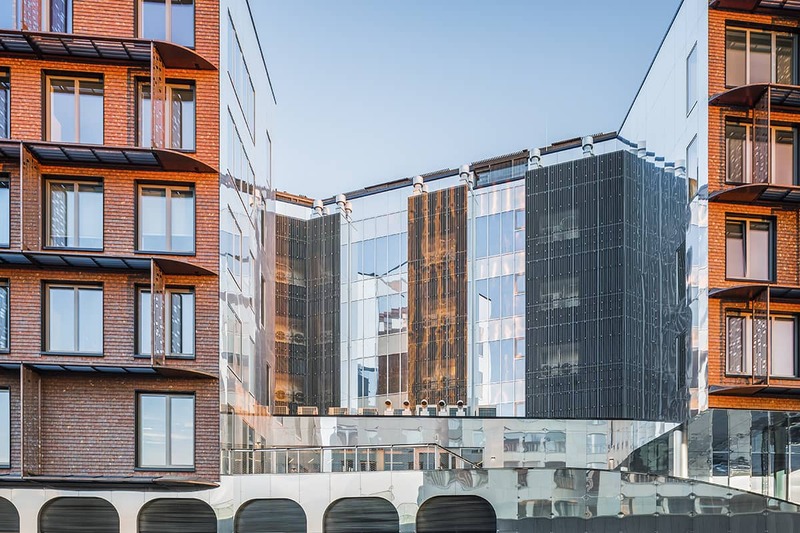 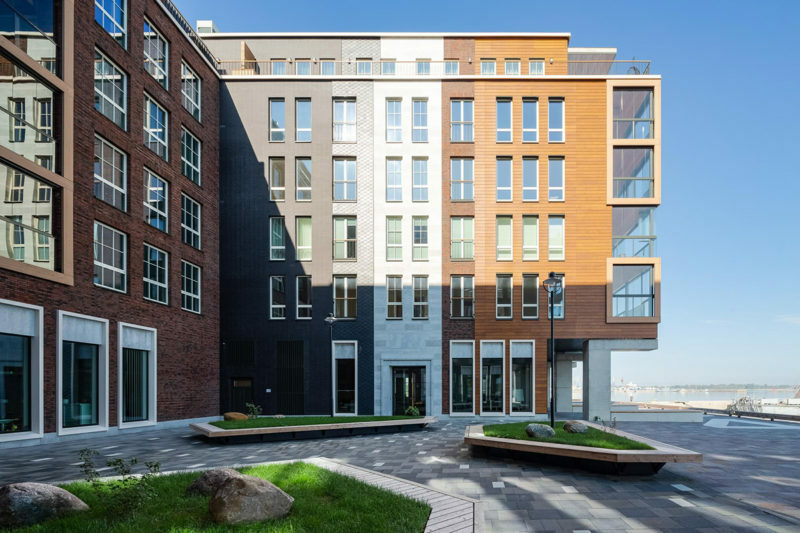 This apartment building development facing the Tallinn bay is one of the landmarks of modern architecture in Tallinn, Estonia. 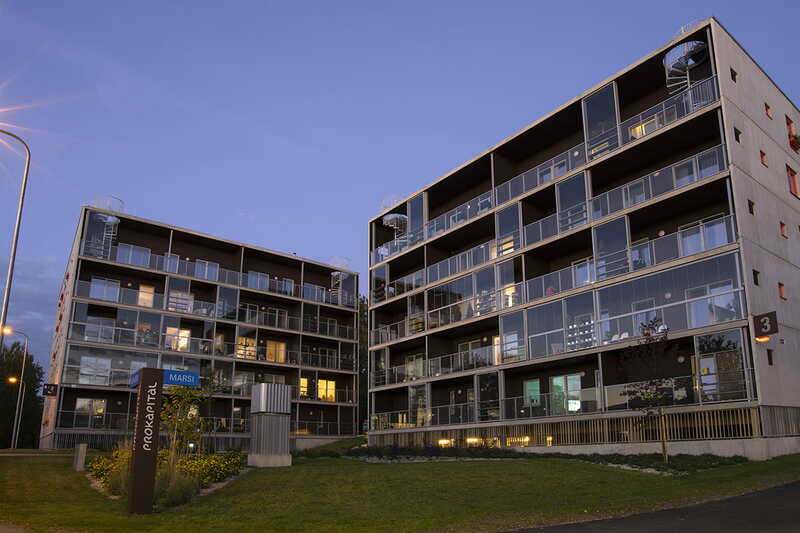 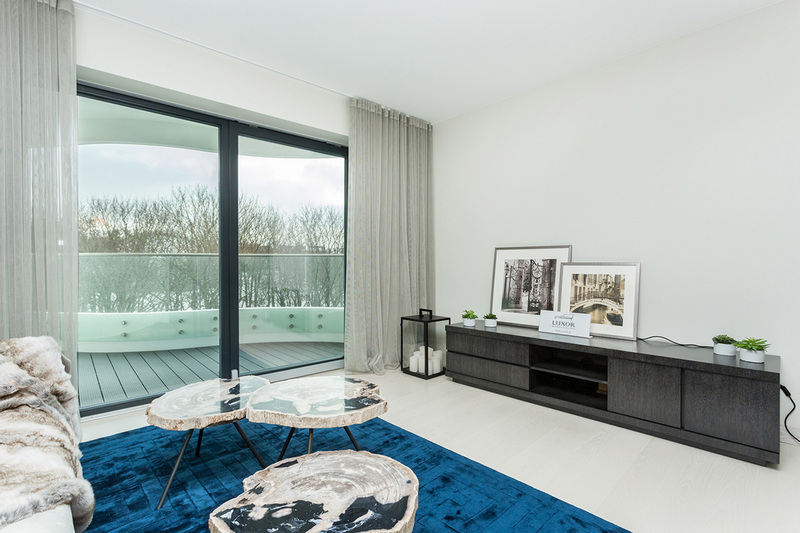 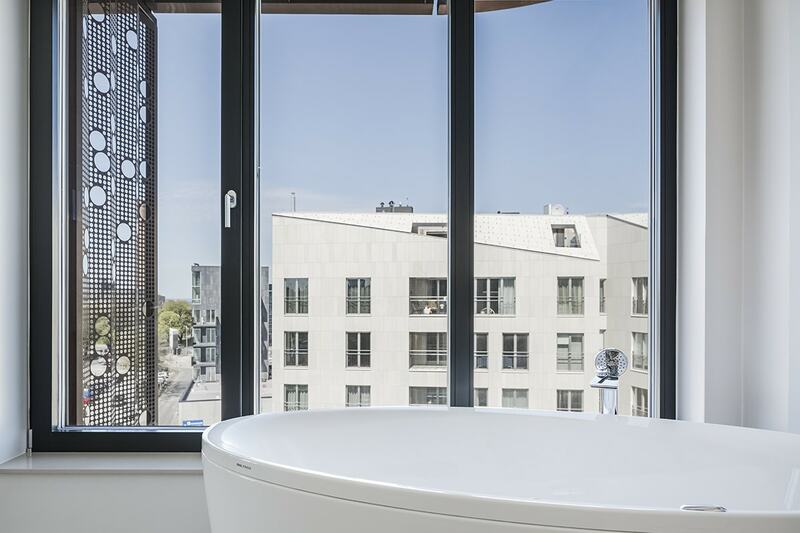 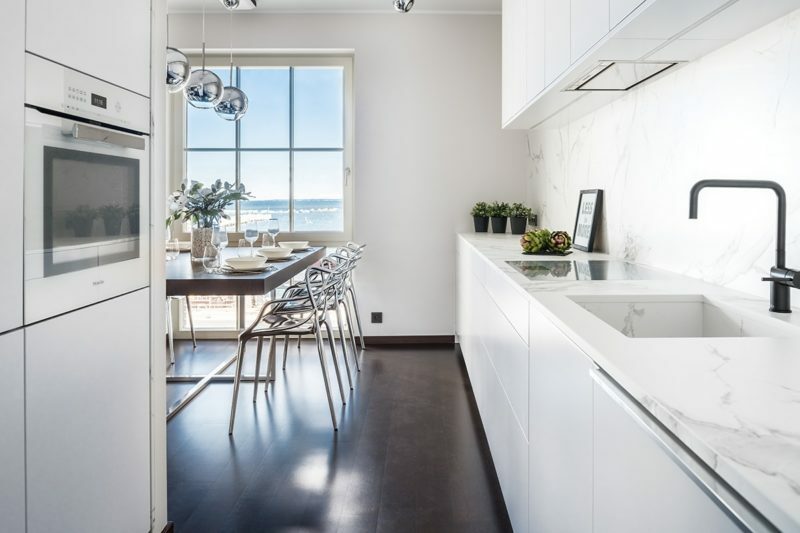 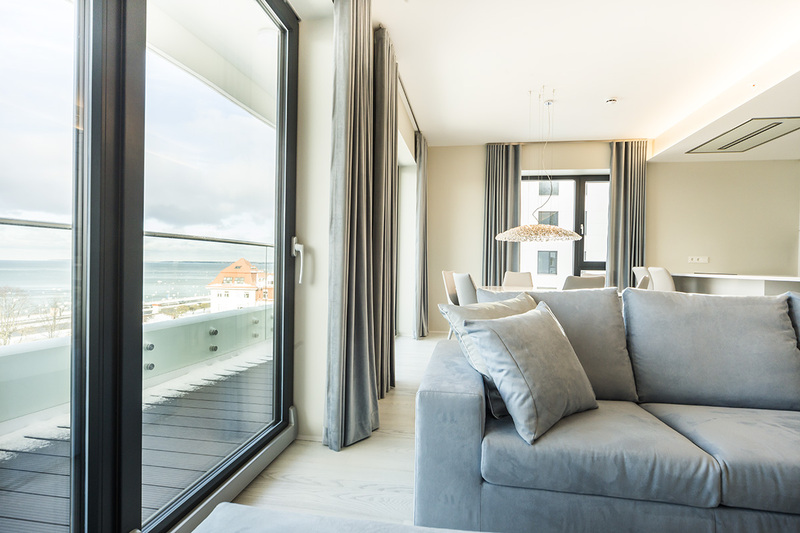 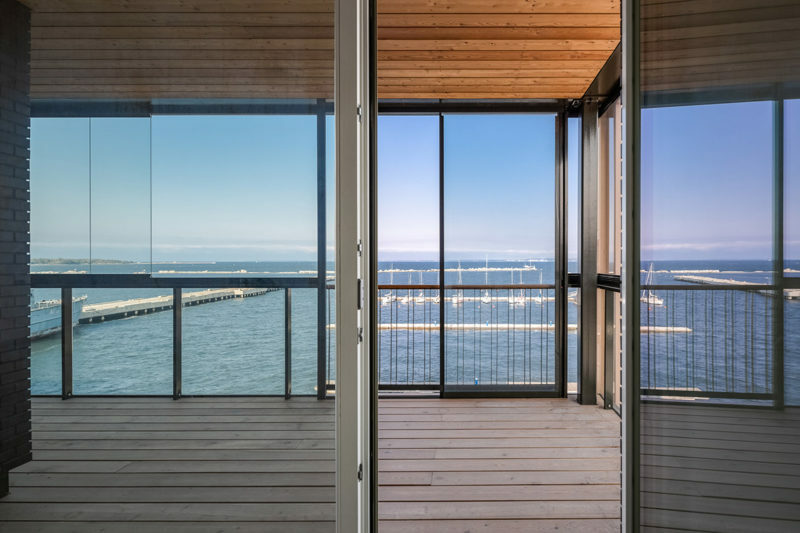 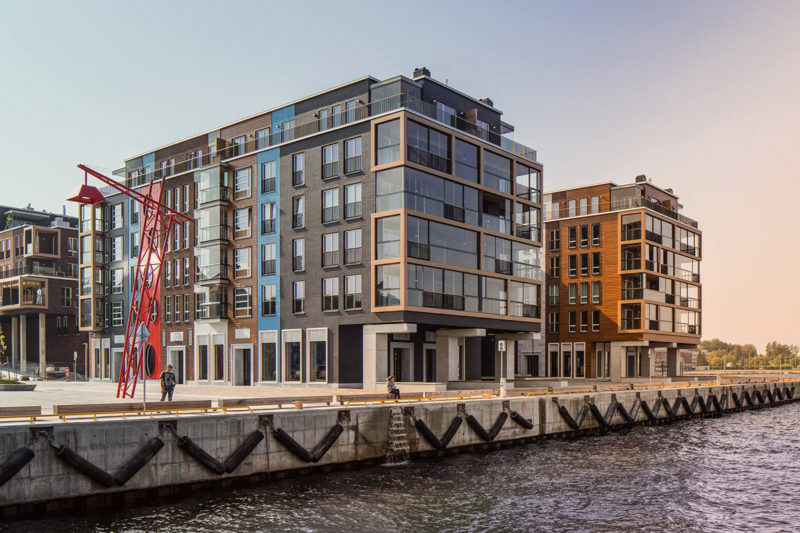 The most important part of this project is the view and our products like inward opening wooden aluminium windows and sliding doors are providing residents the best views with maximum functionality. 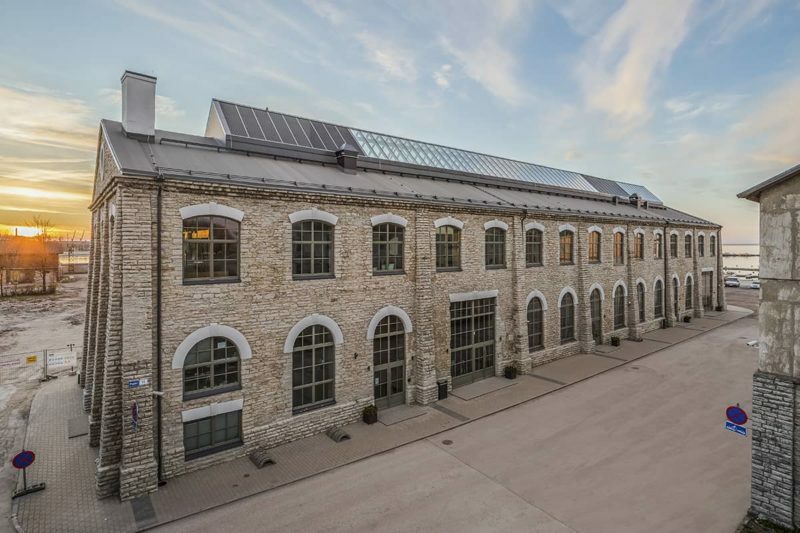 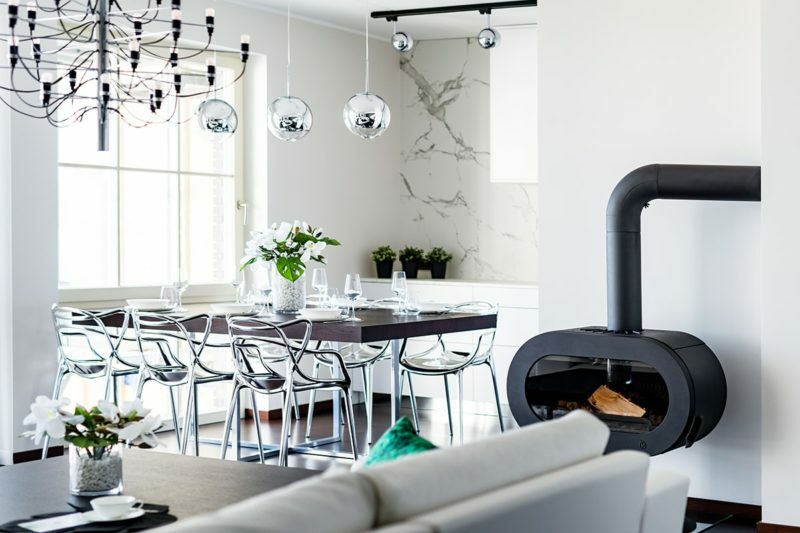 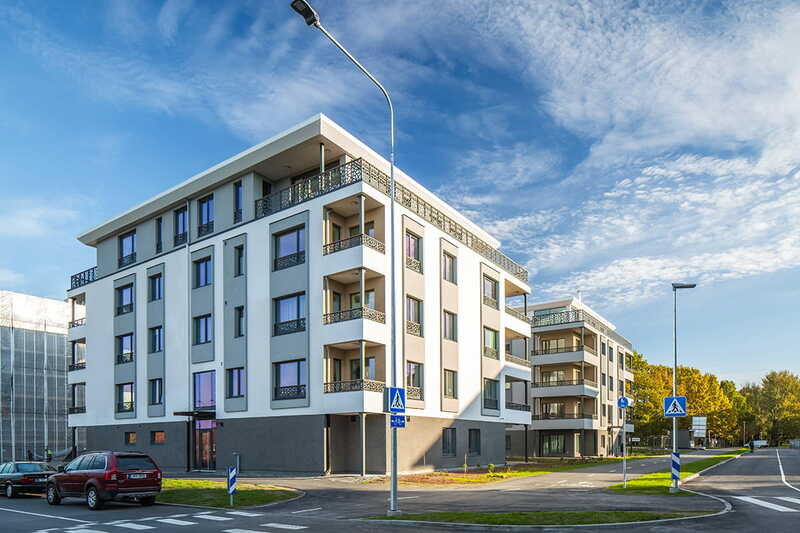 Kristiine neighbourhood in Tallinn, Estonia is one of the most popular parts of town to settle down and look for a home because of its peaceful community while still being very close to the city centre. 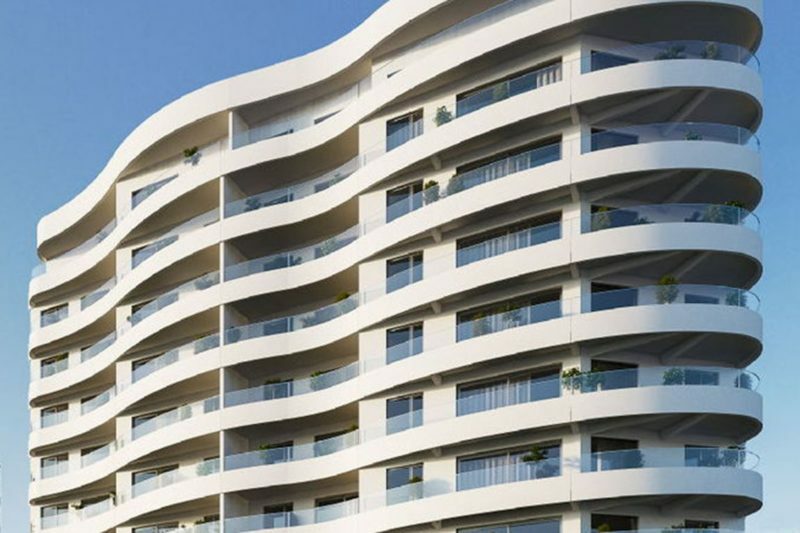 In all stages of the Kristina Houses development, the developers have opted for our products as they give exquisite quality and functionality. This is an apartment building with businesses downstairs in the very centre of Tallinn that stands out. 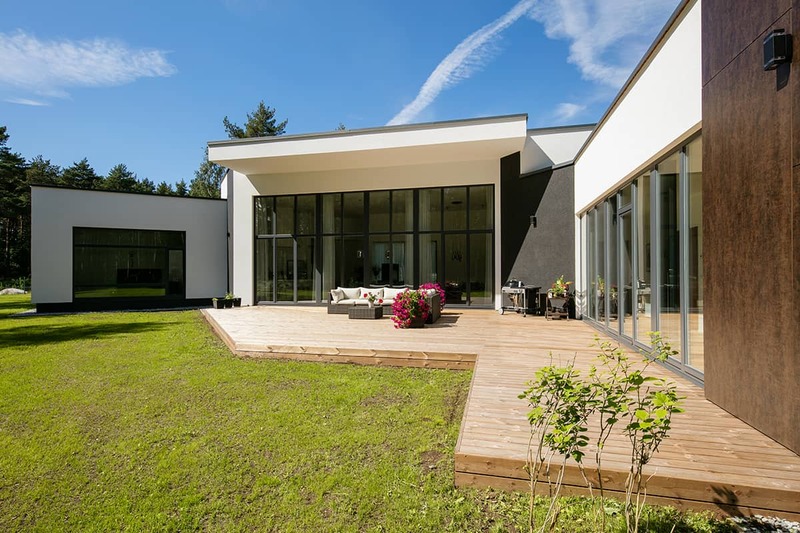 The architects opted for our special „Contour“ solution for the same alignment of openable and non-openable wooden aluminium windows. 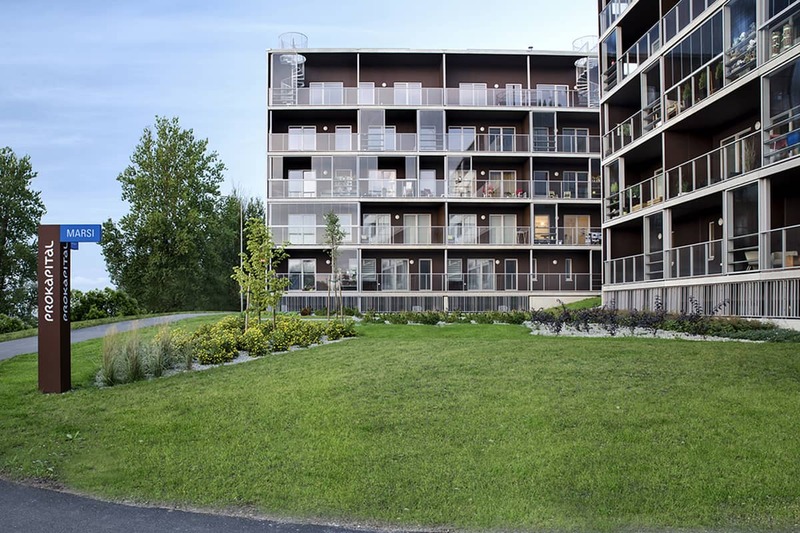 For this project we used windows with high sound reduction values to give the residents the peace and quiet they want while still being located at the one of the biggest intersections in the city. 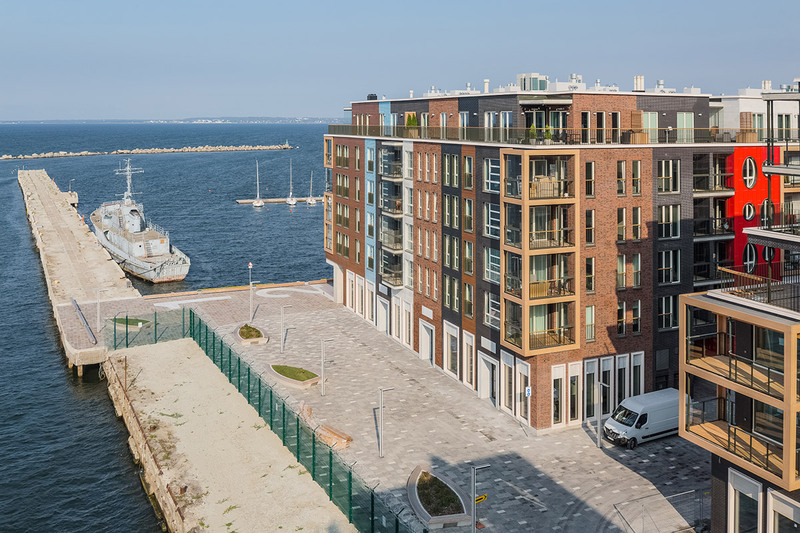 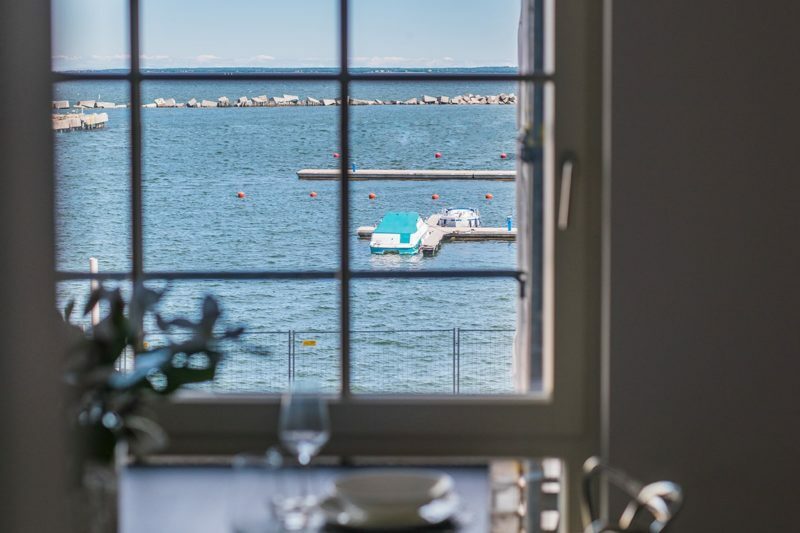 The marina area of Noblessner is one of the quickest and nicest upcoming parts of town in Tallinn, Estonia where Premium housing, a yacht club and many other things form into one. 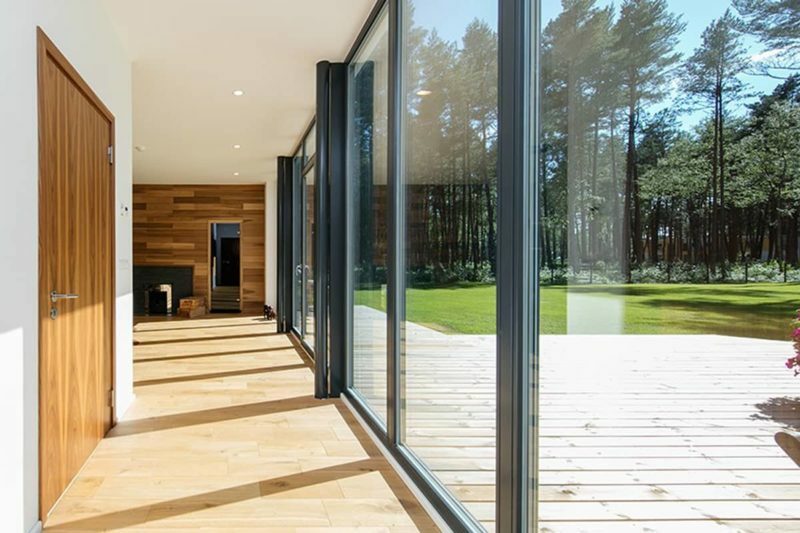 In many of the houses in this development our products such as inward opening wooden and wooden aluminium windows have been used. 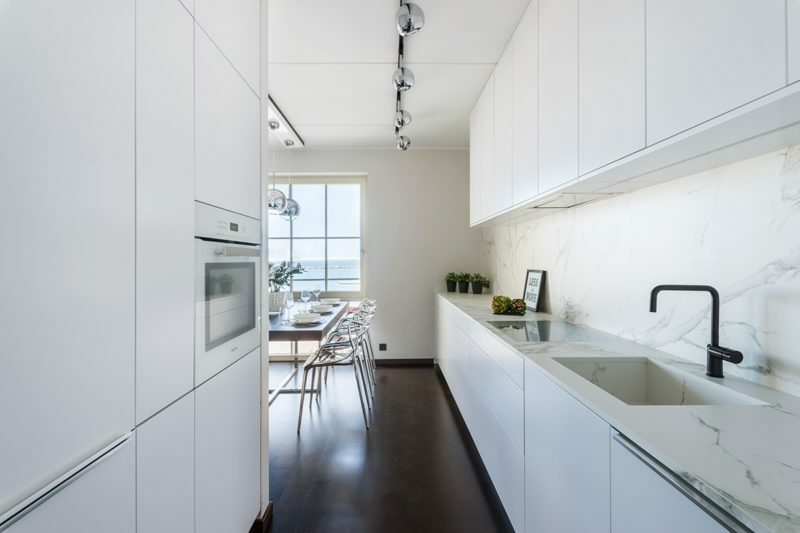 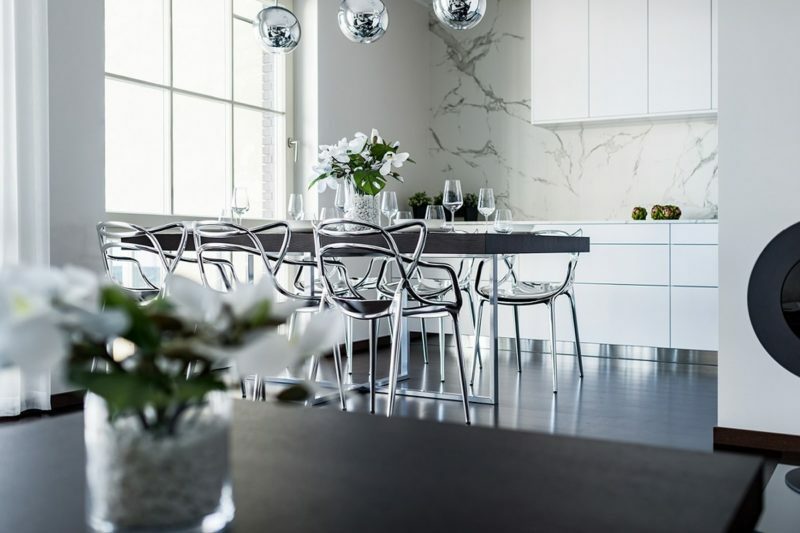 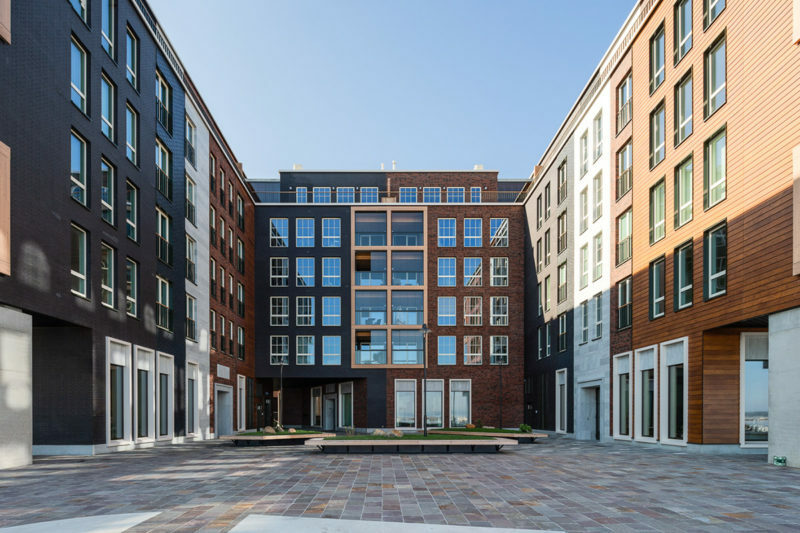 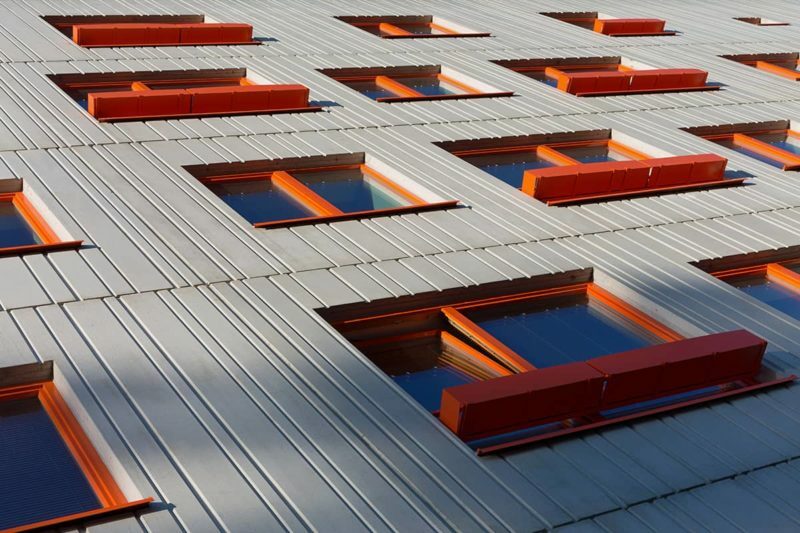 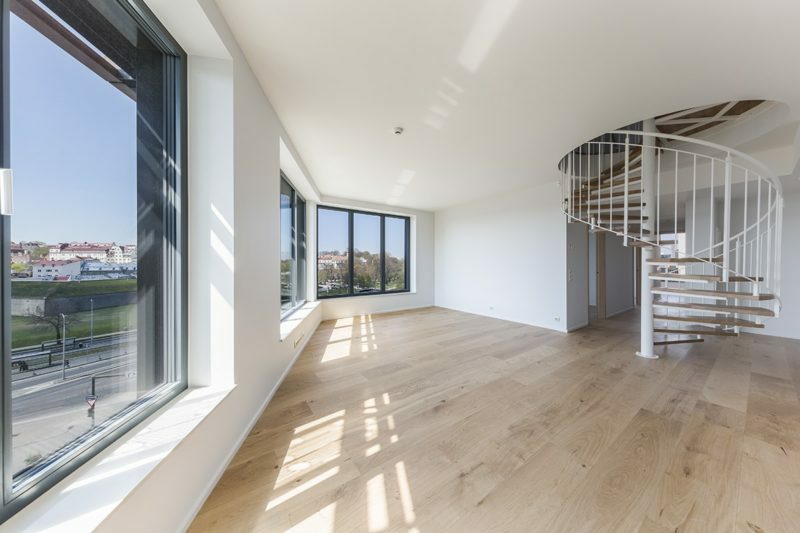 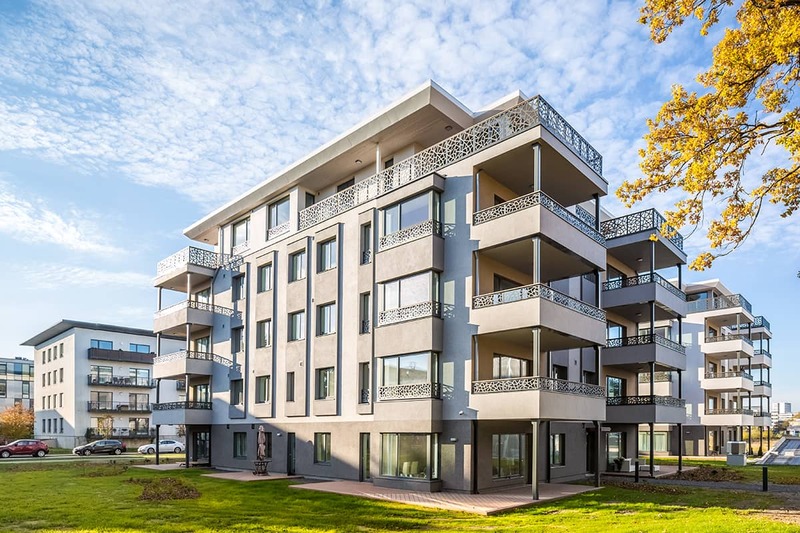 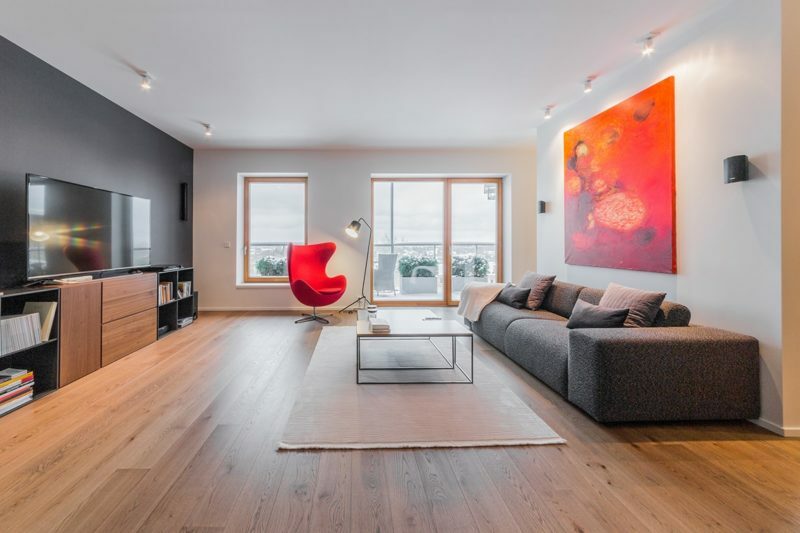 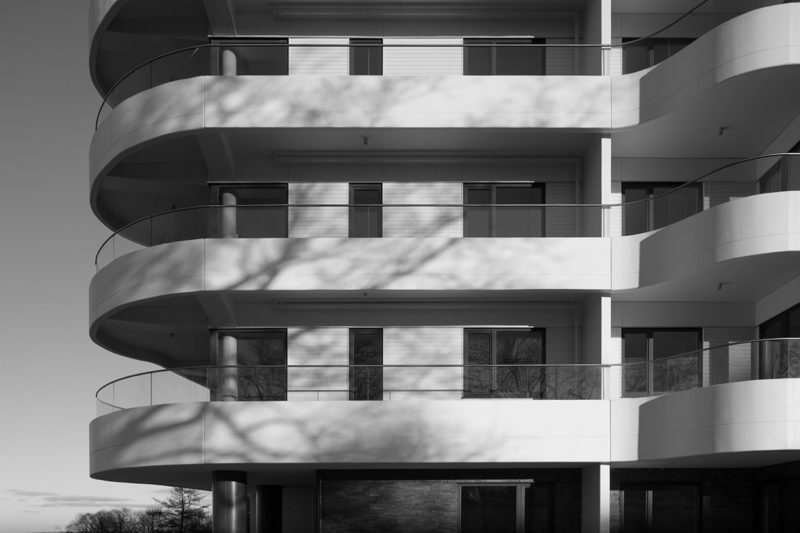 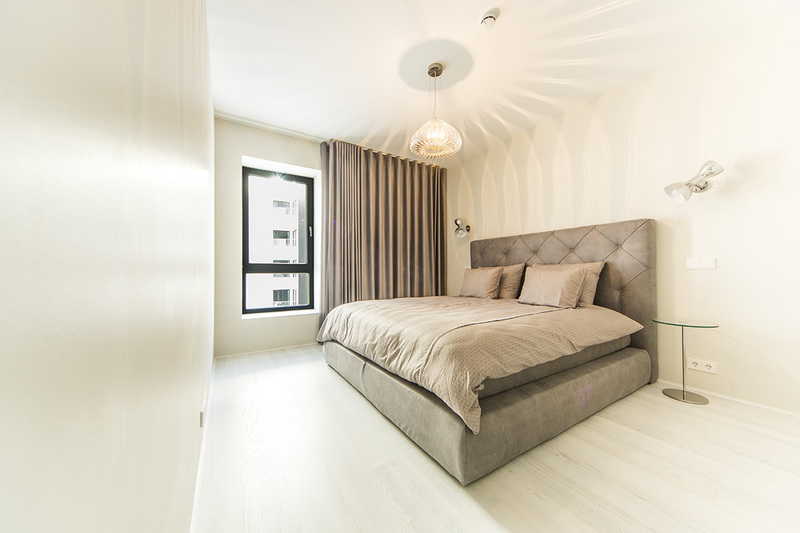 For one of the biggest apartment buildings in the area, we have used our extra minimalistic „Integral“ solution to give the project a very modern look. 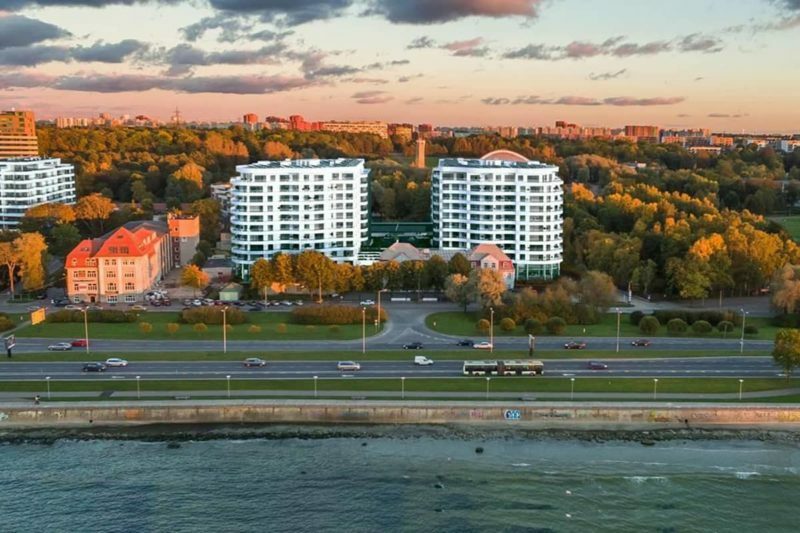 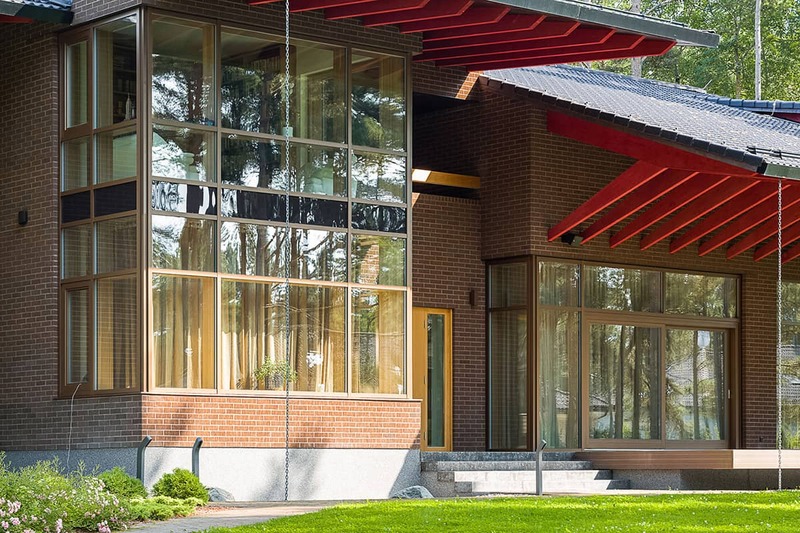 A development called Tivoli is located at the seaside and just next to the beautiful Kadrioru park in Tallinn, Estonia. 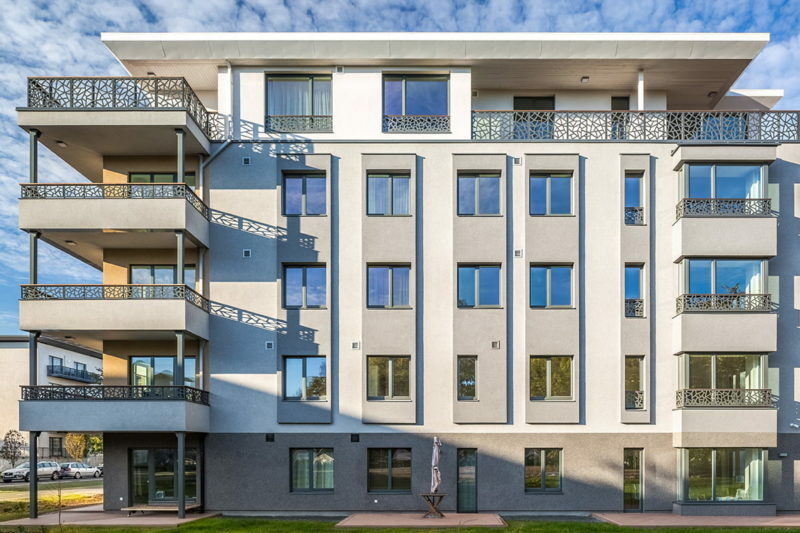 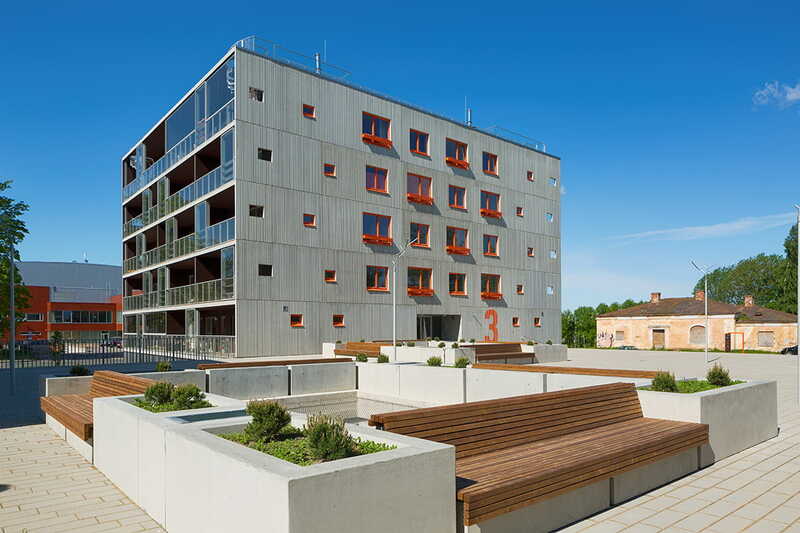 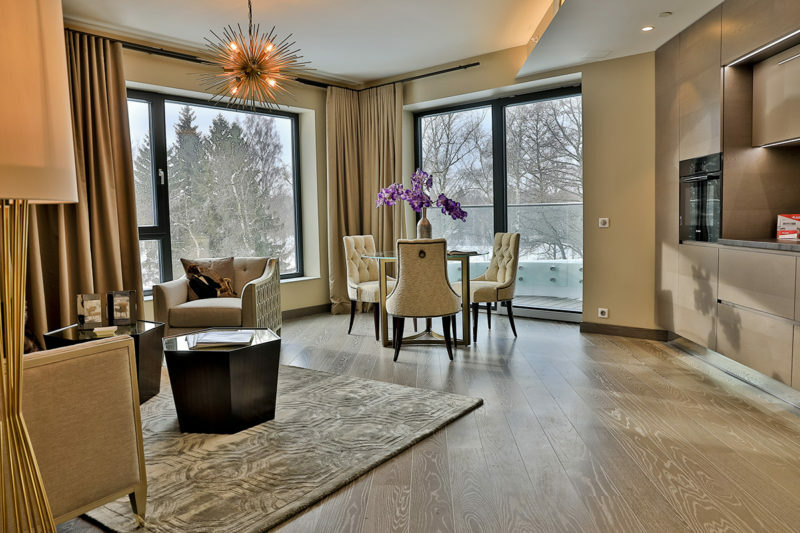 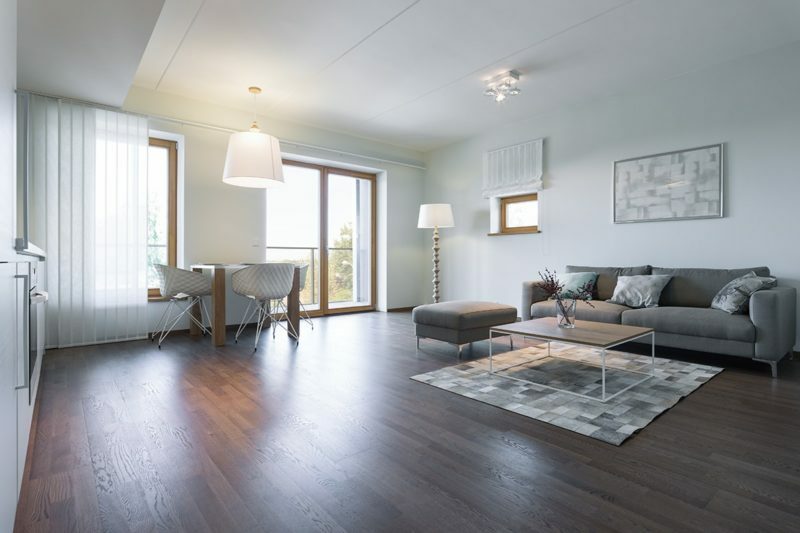 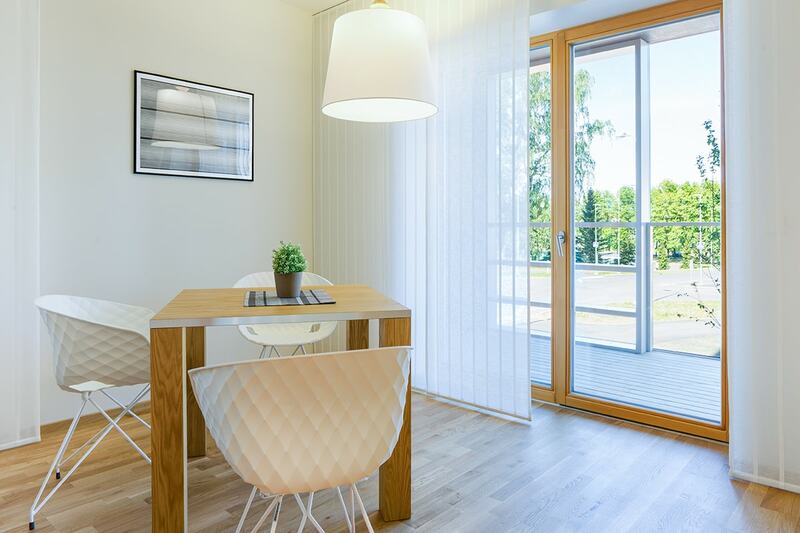 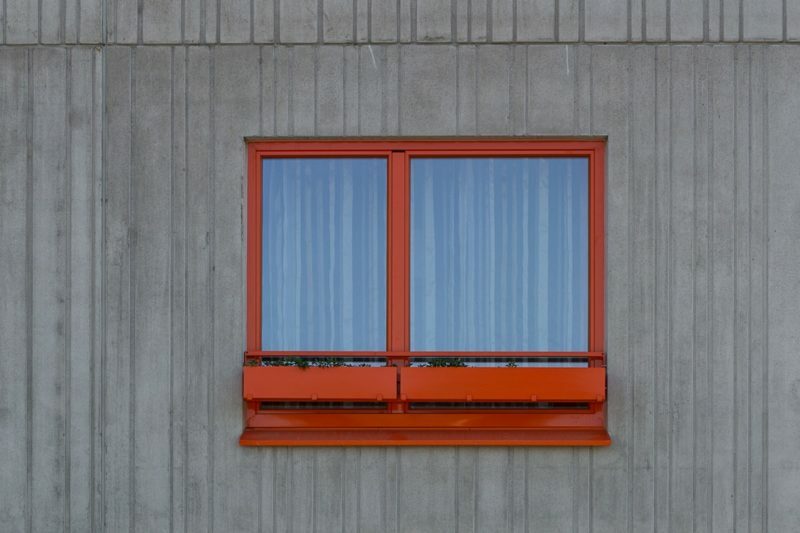 In the development of this project with many apartment buildings our products such as inward opening wooden windows and balcony doors have been used. 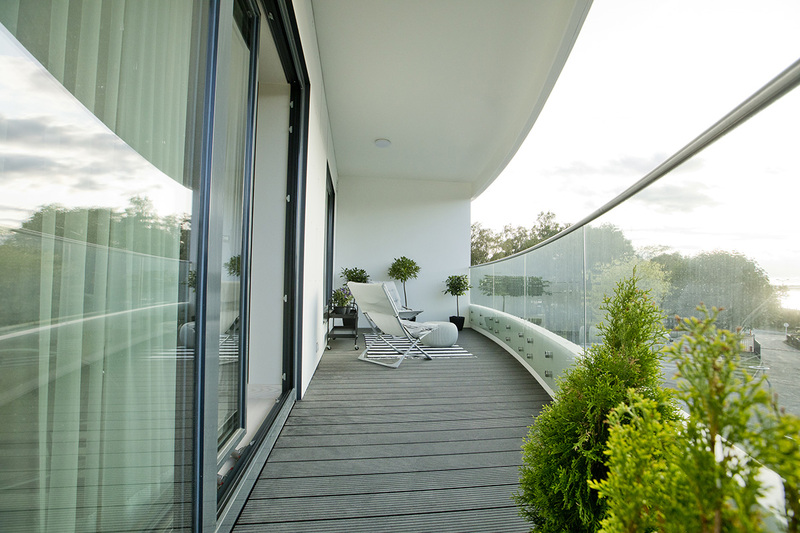 By using our solutions you can see that the developers have opted for Premium quality which this neighbourhood deserves. 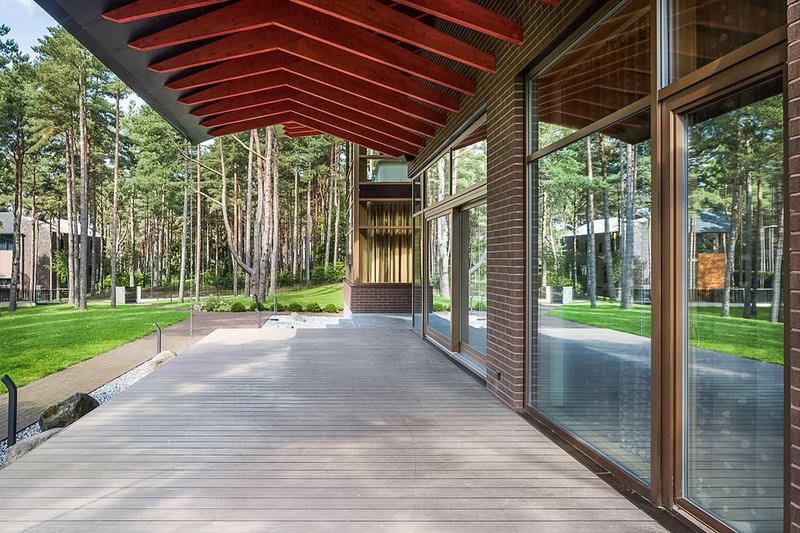 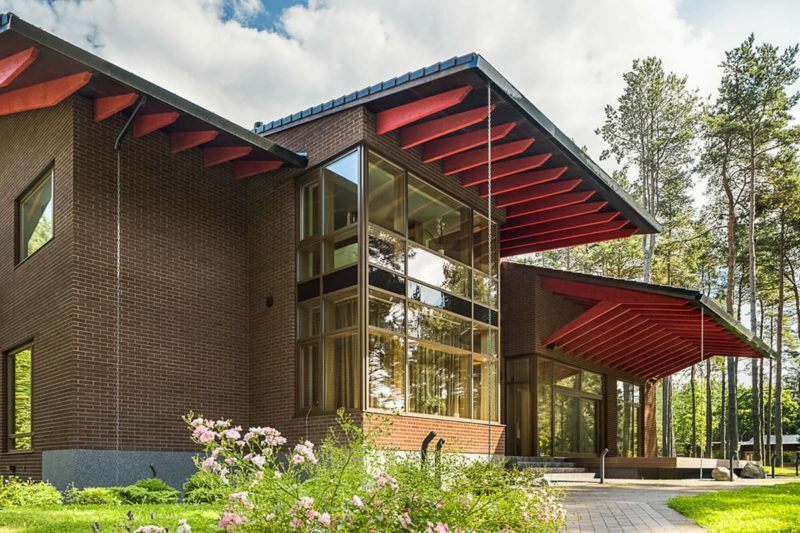 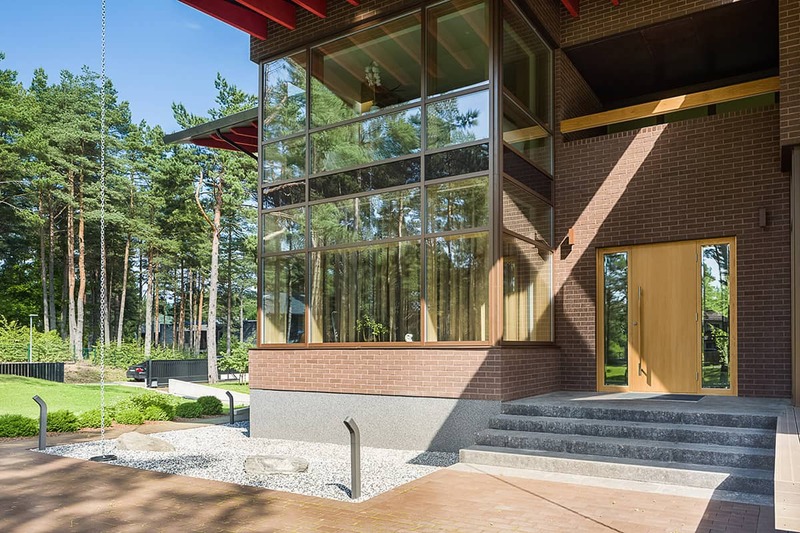 With its large glass surfaces and witty architectural solutions, this private home stands out from the crowd. 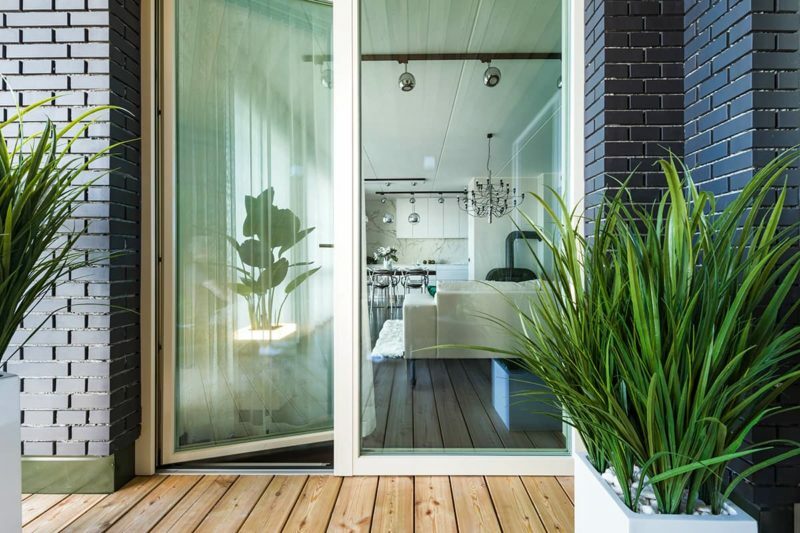 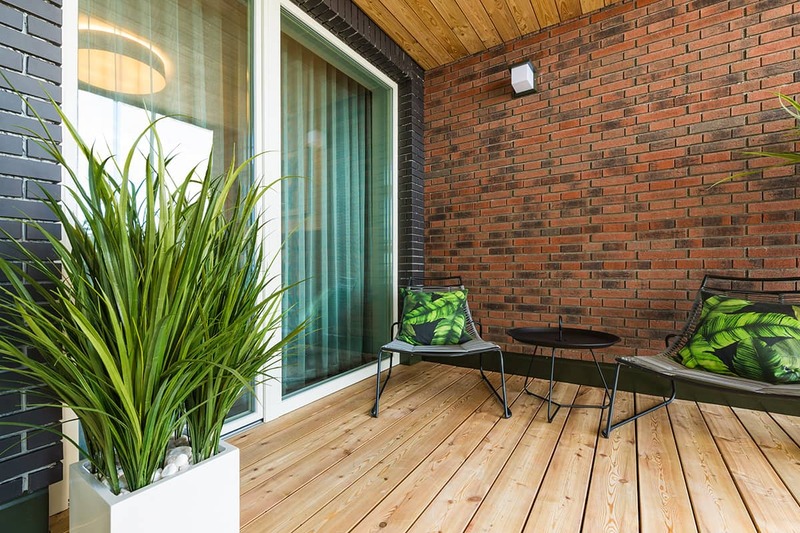 We at Lasita Aken are happy that we have helped pull of a solution as pretty as this with our inward opening wooden windows, balcony doors and exterior doors. 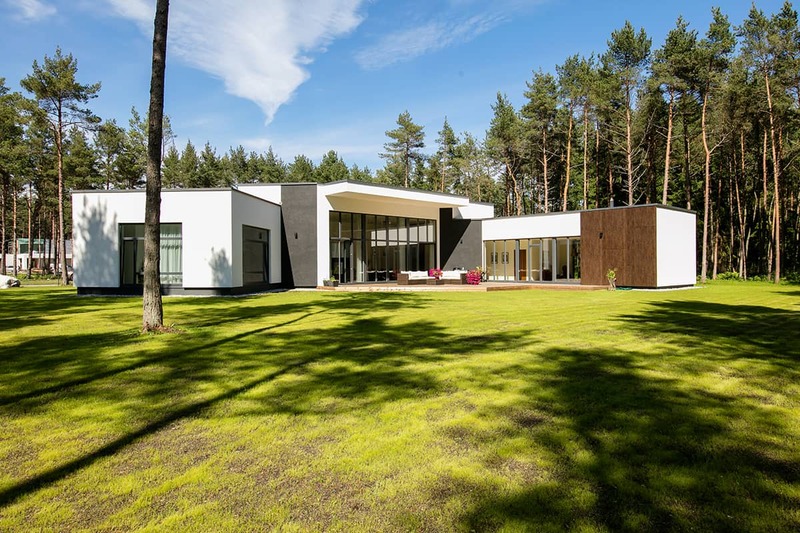 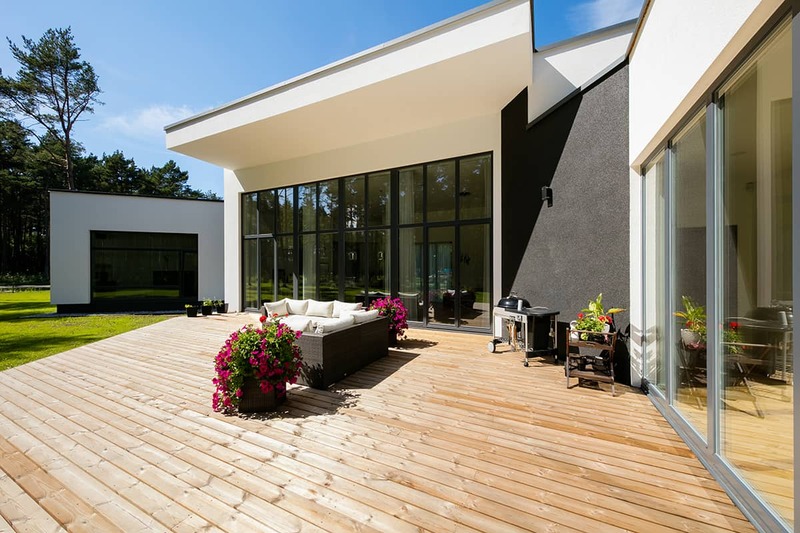 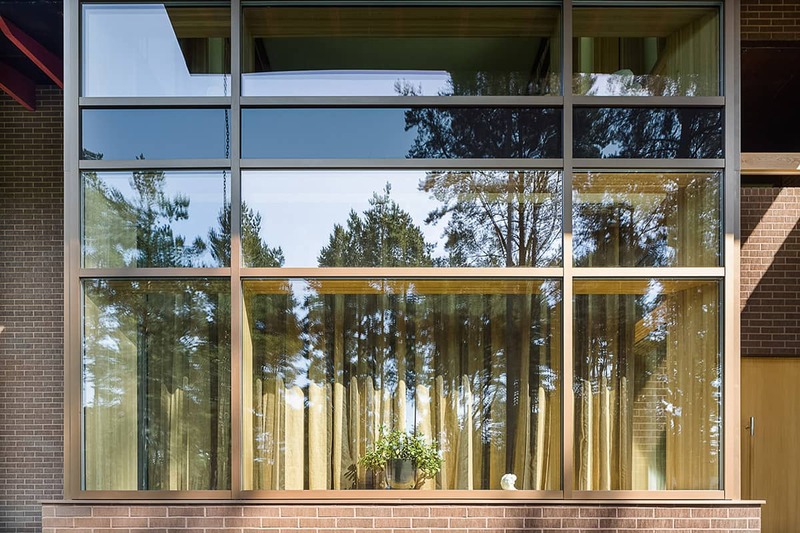 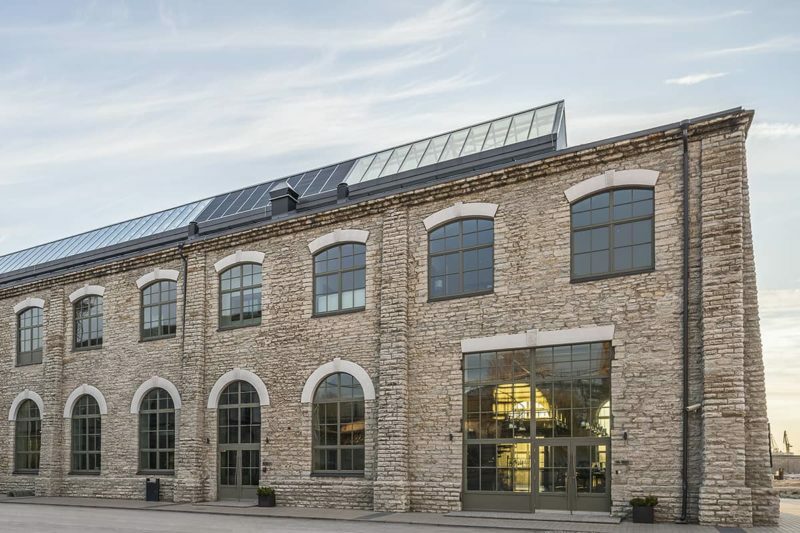 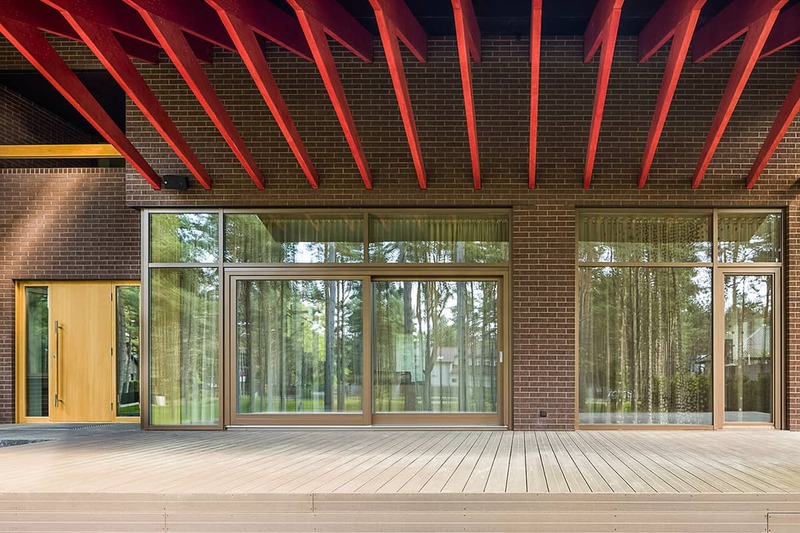 Wooden aluminium inward opening windows, parallel sliding doors, exterior doors and curtain walls – all of these products have been used in developing a solution where the end client has searched for unity. 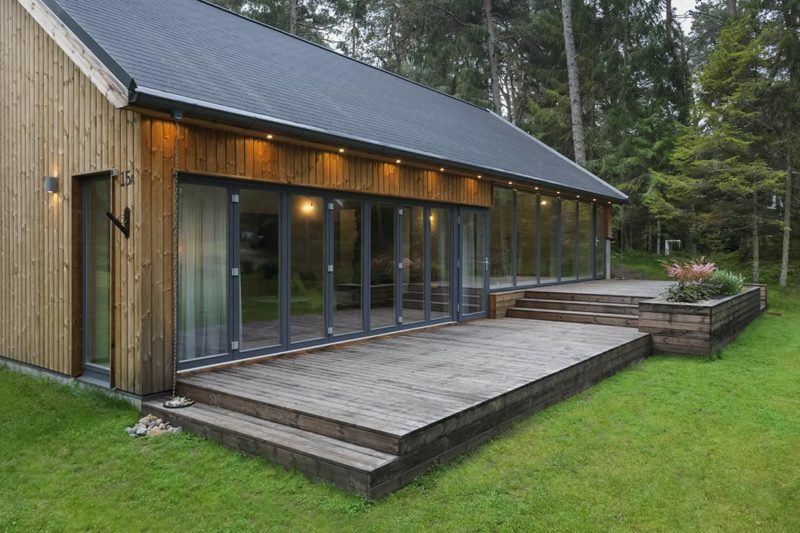 A summer cottage equipped with our wooden inward opening windows, exterior doors and folding doors. 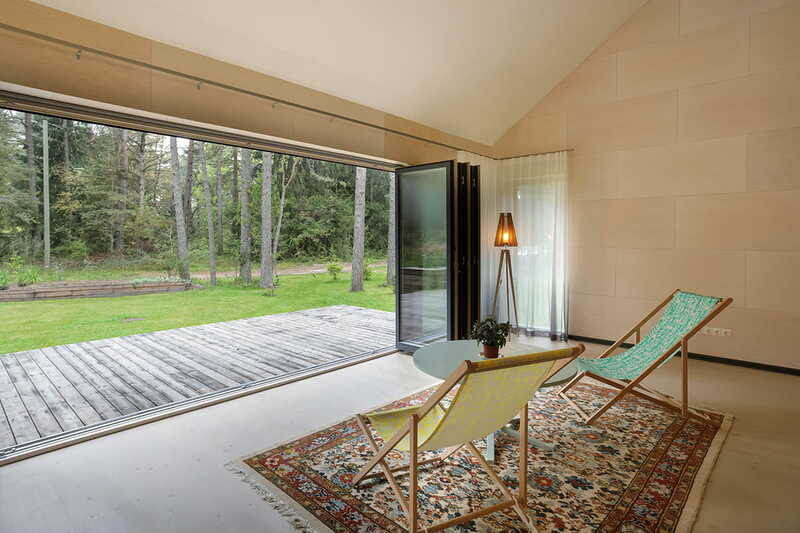 The folding door enables to open the entire wall making the inside of the house and the terrace melt into one. 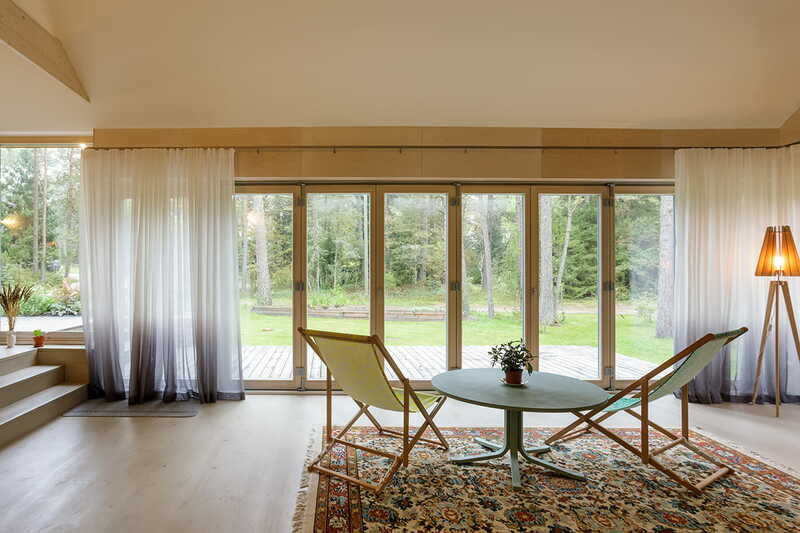 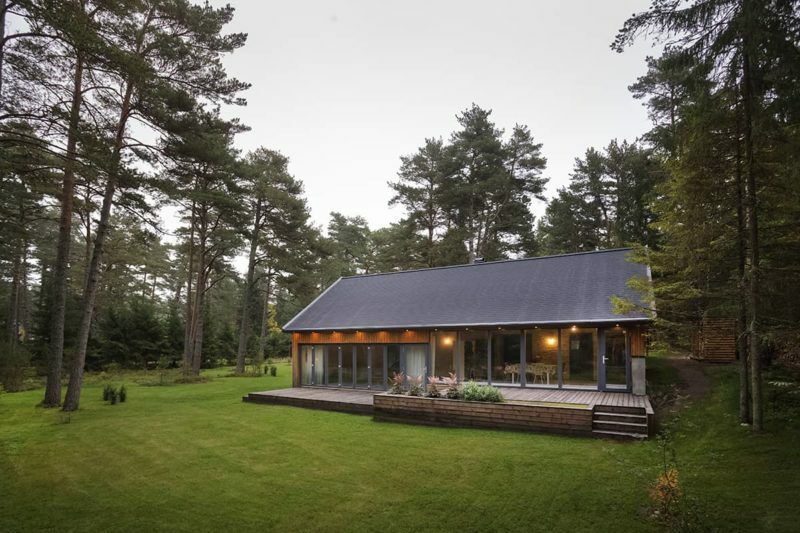 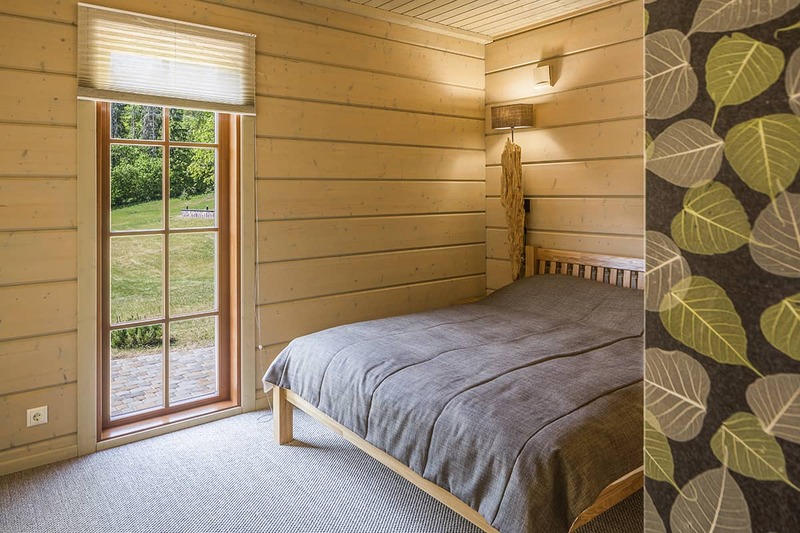 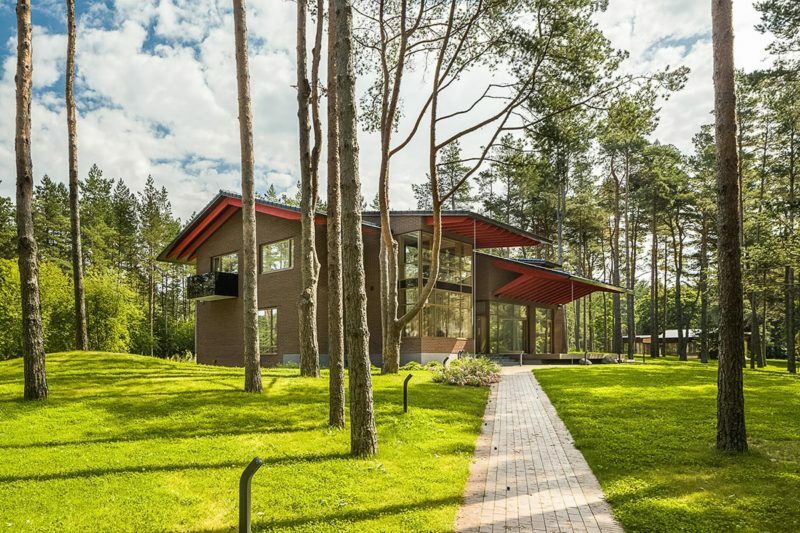 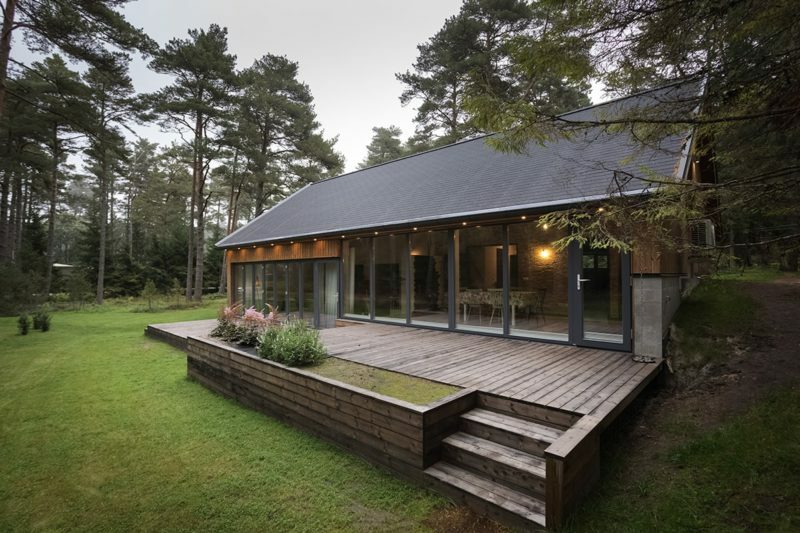 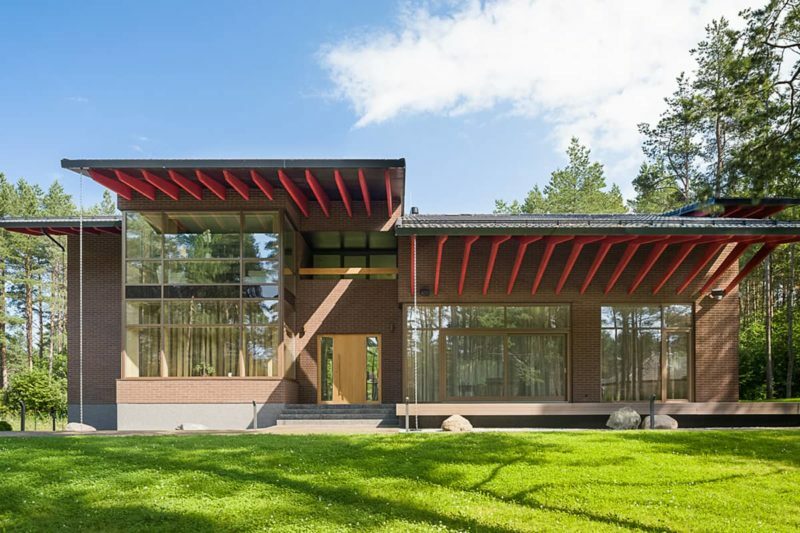 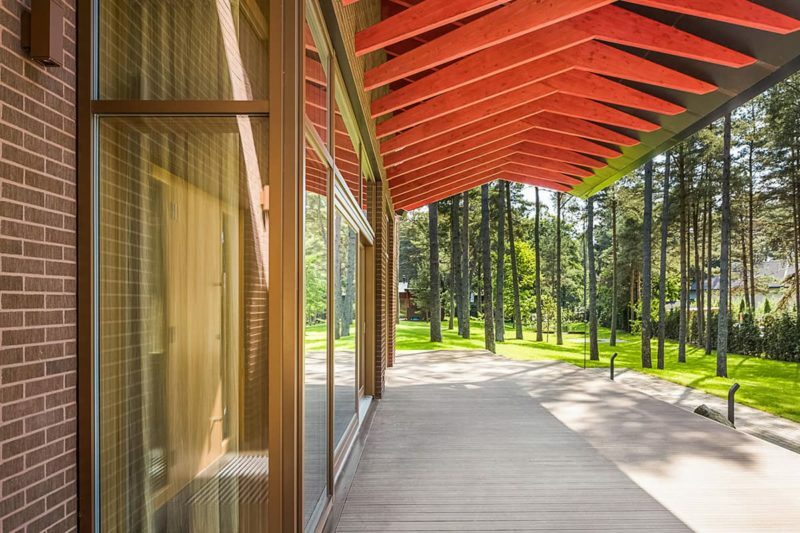 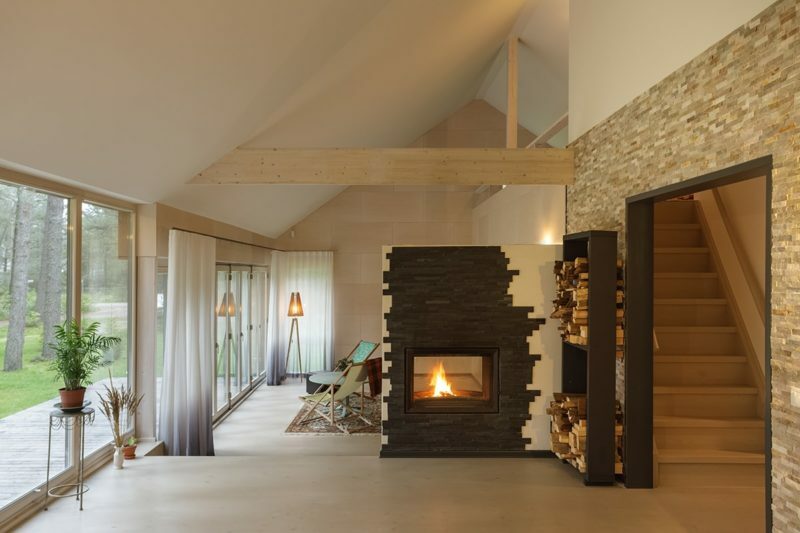 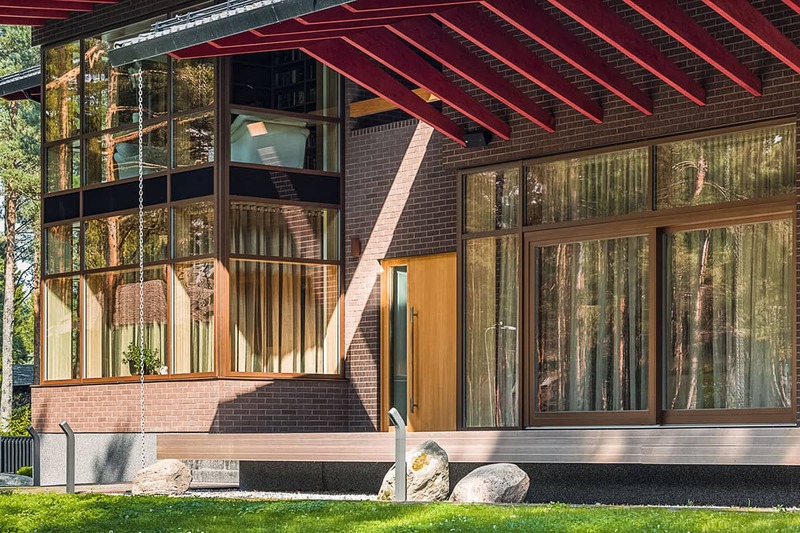 A log home with a very close to the nature scenery in Harjumaa, Estonia is equipped with our inward opening wooden windows and balcony doors. 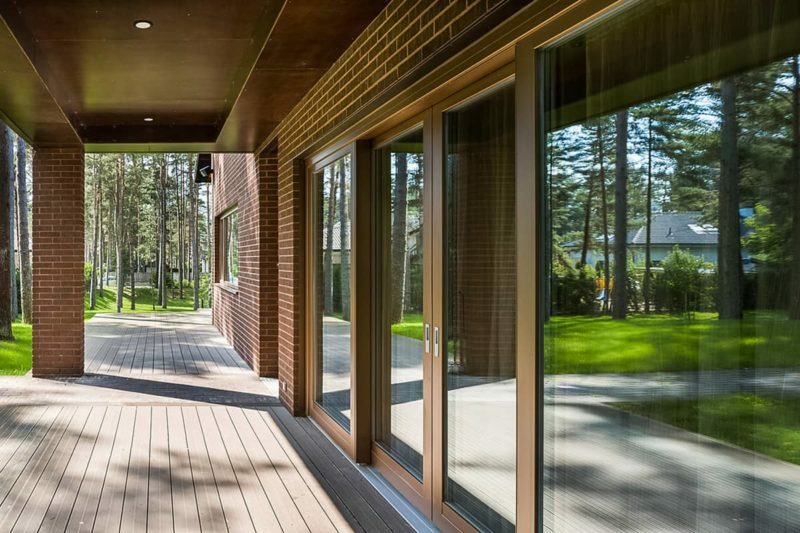 To give the house the classic log home look, the developers have opted for removable lattices, which are easily removable for washing.